Uniqueness of this attraction A well-known natural backdrop in Malacca, the Padang Pasir Klebang Melaka is famously known as the ‘Desert Dune’ of Malaysia. The hills of sands are akin to a desert, resulted from land reclamation project in the Klebang area. Many have sworn by the place, saying it’s a perfect setting for picnics and photography sessions, from weddings to fashion journalism. The amazing lighting during golden hour creates an amazing contrast for you to capture and treasure with your friends and loved ones. When is the best time to go there? Sundown, around 6 pm is the best time to go and have a long walk. The view is incredible for horse-riding, kite-flying and the water is just warm enough for you to dip your toes into. Whenever you are hungry, there are many food trucks and restaurants nearby the Pantai Klebang area for you to go to. Getting around The place is located in between Pantai Klebang Melaka and Submarine Muzium Klebang. Since it is not a tourist attraction built by intention, you won’t see direction signboard well-written with “Pantai Pasir Klebang Melaka”. After passing the seaside, look out for a huge sign showing Dataran 1 Malaysia. Turn in and drive straight until you reach the end of the tarred road. You can continue to drive in further through the muddy, sandy road to save some walking, if you were on four wheels drive. Else, it is not 100% safe. Whatever your choice is, just remember, keep to the left. As there is no special parking space, parking by the end of the tarred road seems to be the only option. So, we can only say that you have to park at your own risk. It will take you 10 to 15 minutes walk to the desert hill. Other things to do here? Muzium Submarine: Bring your family to see and touch a real submarine at least once in your life. Address: Dataran 1Malaysia, Klebang, 75200 Melaka, Malaysia. Opening hours: 9am-5pm (Monday – Thursday) 9am – 6.30pm (Friday – Sunday). The souvenirs sold along the beach are not overpriced too much. You need to be careful when drive into the area. Cars can be stuck into the sands and it will be hard to call for help. Bring along a huge bottle of water because it will be really hot in there if you want to spend whole evening there. Bring a tripod if you want to have a family photo or time lapse all by yourself. You are not allowed to swim at the beach, as there is no life guard around. Bring an extra plastic/environmental bag to keep all your rubbish. 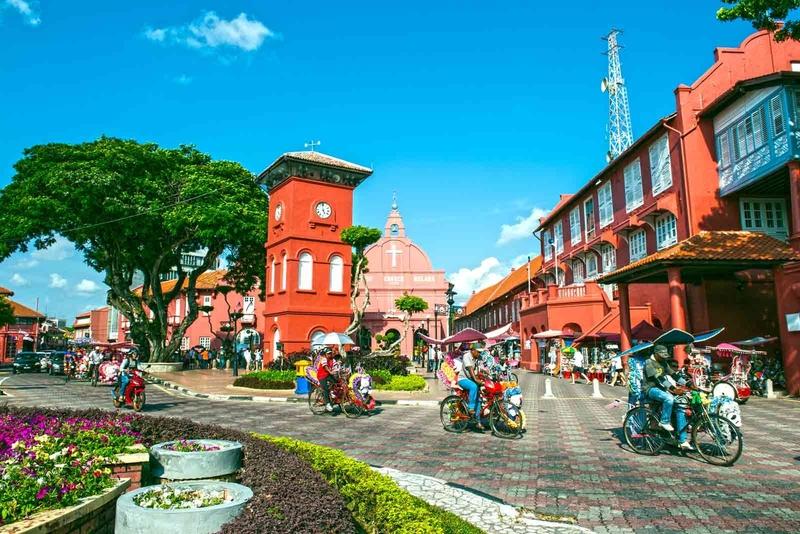 A Place to Stop by Whenever You’re in Malacca for Its Scenic Landscape. There are no reviews on Pantai Pasir Klebang, Malacca. If you’ve been here before, write a review to share your experience.